Pacific Union would like to extend hearty and well-deserved congratulations to 17 of our real estate professionals and teams for being named among the Bay Area’s most productive in 2017. Now in its third edition, the Luxury Marketing Council’s 2018 Leading 100 rankings honors the top-producing Bay Area real estate professionals and teams based on 2017 sales volume. Seventeen Pacific Union professionals and teams were named to this year’s list, which uses sales data from last month’s annual rankings of America’s best real estate professionals as published by REAL Trends. 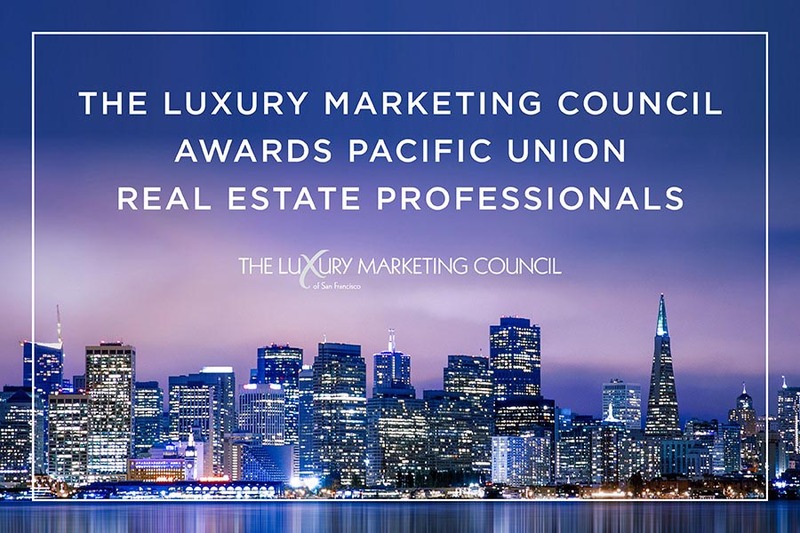 In addition to the 17 individuals and teams named below, the Luxury Marketing Council bestowed special honors on two of our San Francisco-based professionals. The organization named Nina Hatvany as 2018’s Real Estate MVP and recognized Val Steele as San Francisco Market Maker for being co-seller of the biggest home sale of the year. Dana Green, Lafayette ranks No. 4, with $199.3 million in sales. Tracy McLaughlin, Ross, ranks No. 8, with $155.1 million in sales. Shana Rohde-Lynch, Belvedere, ranks No. 16, with $124.1 million in sales. Kate McCaffery, Alameda, ranks No. 18, with $115.2 million in sales. Raziel Ungar, Burlingame, ranks No. 51, with $81.1 million in sales. Steve Mavromihalis, San Francisco, ranks No. 65, with $73.7 million in sales. Nina Hatvany Team, San Francisco, ranks No. 5, with $226.2 million in sales. LeMieux Associates, Menlo Park, ranks No. 18, with $142 million in sales. Watson-Marshall Group, Burlingame, ranks No. 20, with $124.9 million in sales. Barr + Whitney | Team Own Marin, Larkspur, ranks No. 26, with $117.3 million in sales. The Kehrig Team, Danville, ranks No. 53, with $100.9 million in sales. Payton + Binnings, San Francisco, ranks No. 65, with $72.2 million in sales. McArthur + Love, Larkspur, ranks No. 67, with $69 million in sales. Bartlett Team, San Francisco, ranks No. 73, with $64.9 million in sales. Maurice Tegelaar & Matt Sevenau, Sonoma, ranks No. 76, with $63.7 million in sales. The AW Team, Palo Alto, ranks No. 92, with $57.6 million in sales. Laura Reinertsen & Kristin Sennett, Ross, ranks No. 95, with $56 million in sales. Congratulations to this year’s honorees for their outstanding achievements!